A Sixties Scoop decision in Ontario that favoured survivors is "a positive indication" says a B.C. woman who is part of a similar pending legal action against Canada on behalf of B.C. survivors. 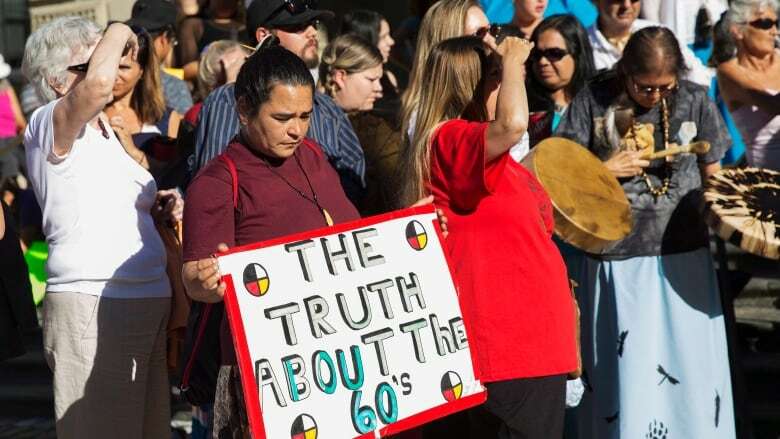 An Ontario judge ruled Tuesday in favour of Sixties Scoop survivors from that province, finding Canada failed to prevent thousands of on-reserve children who were placed with non-Indigenous families from losing their heritage. But it's just one of several ongoing legal actions developing across the country over for fallout from the Sixties Scoop, including one in B.C. Catriona Charlie, the lead plaintiff of a pending B.C. class-action lawsuit, says Tuesday's decision in Ontario is encouraging. "It means a lot because we're getting to tell our stories," she told On The Coast guest host Belle Puri. "It's a positive indication." Charlie says the Sixties Scoop left her with lasting trauma. She says her mother was a ward of the state and a Residential School student when she gave birth to her. "She had no choice but to give me up what with herself in care also," she said. Charlie was taken away after being born and adopted, at 16 months old, into a Scottish family that already had four biological children. She says she got on well with her family but school was a challenge. "I've been called basically everything under the sun. Not so nice ones," she said. When she came back to B.C. to find her biological family, she says it only opened up old wounds, and she sometimes wishes she never came back. "I joined [the legal action] because in all my years I've gone silent and couldn't understand how come I was so different," she said. "Today, I'm still trying to find out who I am." A spokesman for Indigenous and Northern Affairs Canada pointed On The Coast to a Feb. 1 statement from Minister Carolyn Bennett where she expressed her desire for a negotiated "national resolution" to the issue. "Negotiation, rather than litigation is our government's preferred route to settle differences, and right historical wrongs," her statement reads. "We look forward to working together to arrive at a constructive, national resolution to the painful legacy of the Sixties Scoop, outside the court process." The lawyer for Charlie's case, David Klein, says his clients in the pending B.C. legal action would also prefer to settle, and Tuesday's decision in Ontario and the minister's comments adds "impetus" to those negotiations. He says certification of the class action lawsuit has been put on hold because settlement negotiations have begun.